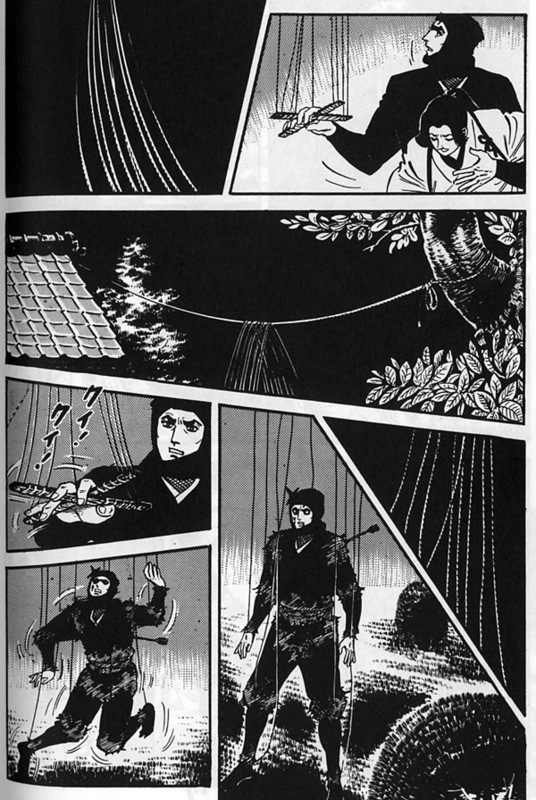 Takao Saito, best known as creator of Golgo 13, was also responsible for two ninja manga: Kage Gari in the 70’s (the Shadow Hunters, which also spawned two films), and Zanpei Kumotori in the 80’s. The latter featured a Connery-esque shinobi getting into all sorts of mischief. Plenty of historically credible espionage techniques on display in this series, right alongside silly stuff like giant piloted kites. 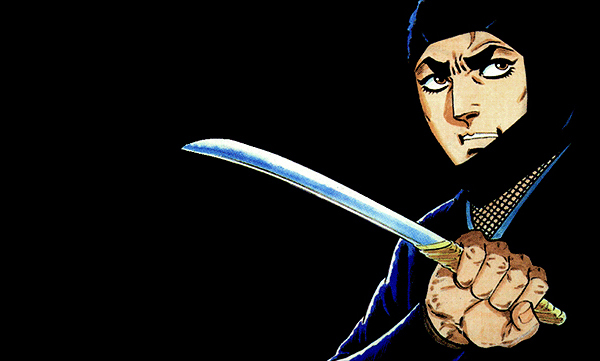 That mixture of fact and fantasy is one of the ninja idiom's biggest appeals. 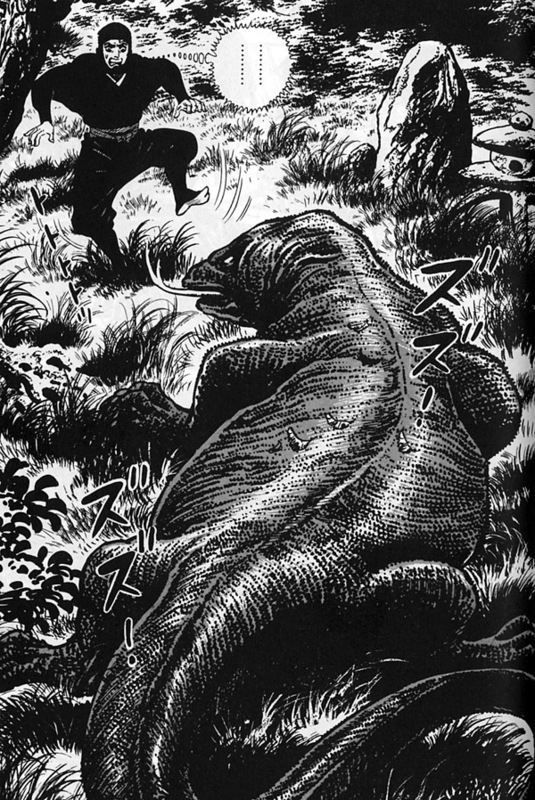 Some good martial arts action, too. There's a lot of that weapons foreshortening in the artwork series-wide. The savvy spy uses a marionette doppelganger (there's your 25-cent word of the day! 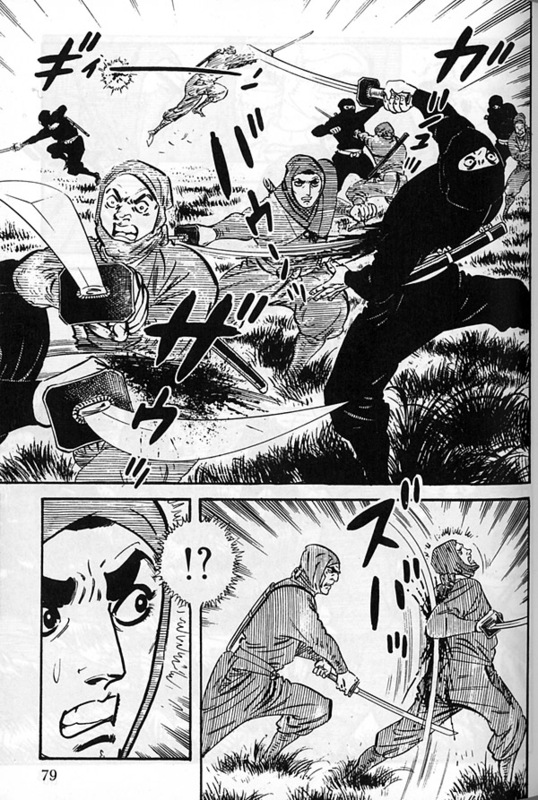 ), while getting a little grabby with a defeated female bodyguard. Things could get wacky once in a while, too, with an occasional mutant supervillain or (in this case) a GIANT Komodo dragon thrown into the mix. 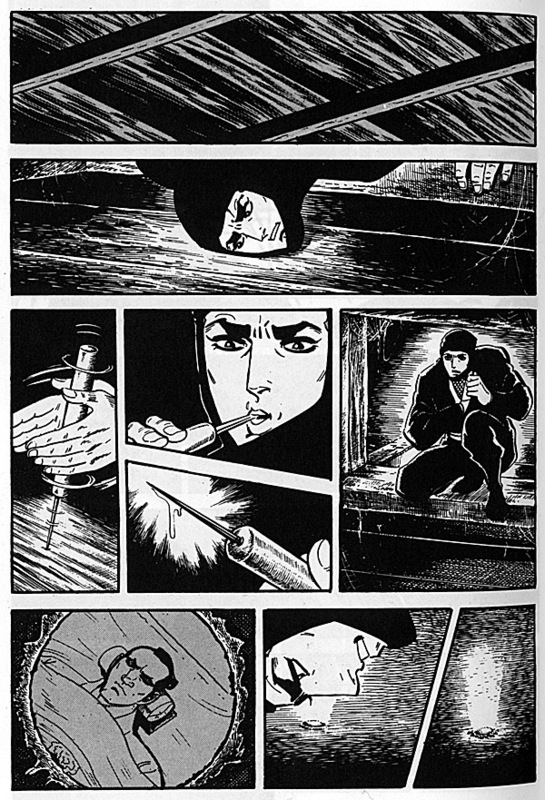 Zanpei Kumotori wasn’t exactly revolutionary or even a genre milestone, but it had a lot of that Golgo tone and enough meat-and-potatoes ninja action to be a hit for years. I’ve found several volumes of reprints on YesAsia.com.